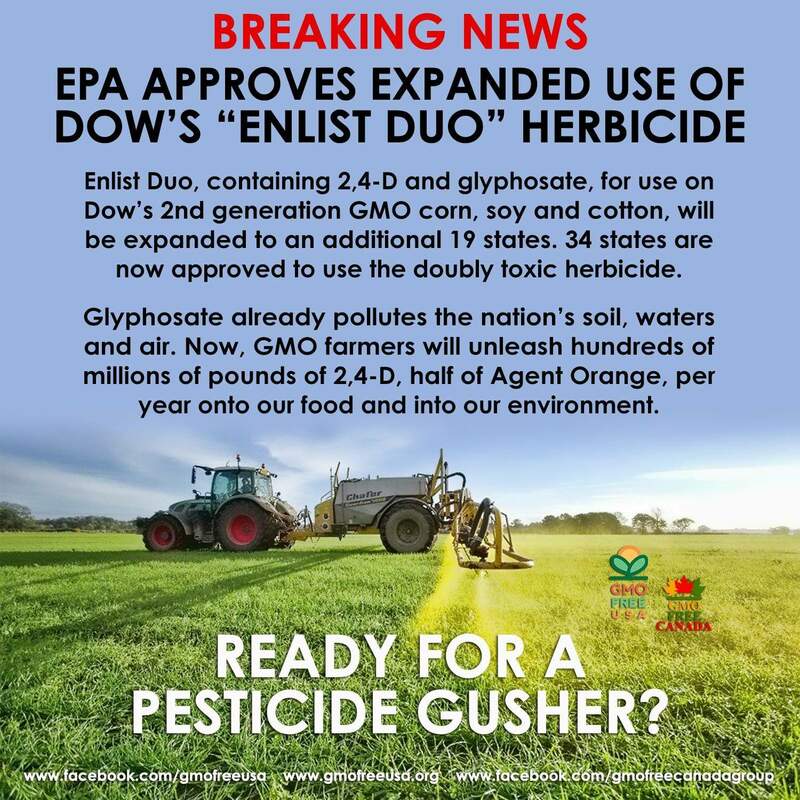 Enlist Duo, containing 2,4-D and glyphosate, for use on Dow’s 2nd generation GMO corn, soy and cotton, will be expanded to an additional 19 states. 34 states are now approved to use the doubly toxic herbicide. Glyphosate already pollutes the nation’s soil, waters and air. Now, GMO farmers will unleash hundreds of millions of pounds of 2,4-D, half of Agent Orange, per year onto our food and into our environment, threatening our health and the livelihoods of non-GMO farmers. (The Texas wine industry is especially under threat.) The EPA has ignored the concerns of scientists, non-GMO farmers, doctors, food safety advocates, environmentalists, and concerned citizens to help Dow’s bottom line – a profit over people & environment decision.